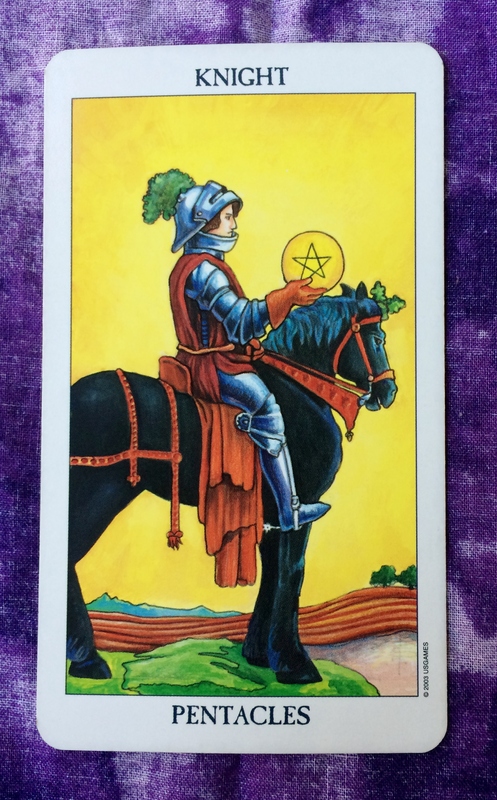 The card for today, Saturday, and Sunday is the Knight of Pentacles. This is likely to be one of those weekends where you will do mundane and practical things, like cleaning up around the house, doing the laundry, or maybe paying bills. When it comes to money, don’t overspend. When you go shopping, don’t splurge too much. Stick with your budget. At the same time, don’t feel too overwhelmed by your responsibilities, whether they are practical or spiritual. Don’t be so too hard on yourself. Whatever it is you need to do, take it one step at a time. You will see change little by little over time.